Get a refillable water bottle. I know it’s pretty basic but it is important! 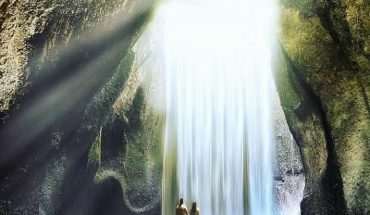 You will want to drink a lot of water in the tropical temperature of Bali. When you are thirsty, it’s all too easy to buy one of those little plastic bottles that cost almost nothing. Before you know it, you’ve drunk 3 or 4 of these bottles in a day and eventually they end up in the river or they will get burned on the side of the road. 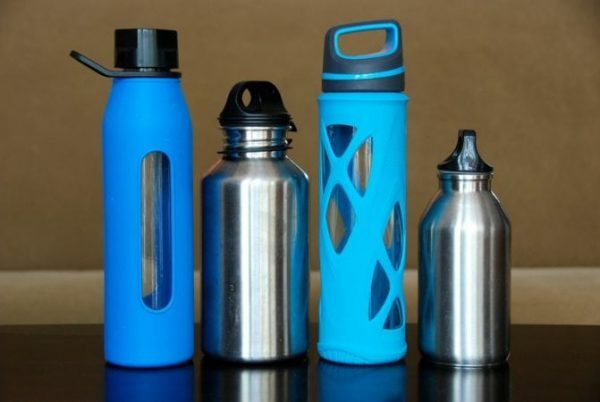 Be smart and go get a reusable water bottle to bring along on your day trips. Avoid plastic bags. You will get a plastic bag with everything you buy in Indonesia. Solution? Bring your own reusable shopping bag. Fold it up and bring it everywhere you go. Use natural sunscreen. Most sunscreens have got the harmful ingredient oxybenzone inside. An ingredient that kills and bleaches coral reefs. A non-stop would be the best option for it’s the take-offs and landings that add up the most to an airplane’s carbon emissions. Pack as light as possible – the more you pack, the heavier your suitcase is and the more fuel it takes to transport your luggage. Extend your weekend stays! It is much better for the environment if you travel less often and when you travel, stay for a longer period of time. This way, you will reduce your carbon footprint. Flying over to Bali just for a short weekend break is not the best option to fully enjoy the island either. Spend more time in one place and if you want to travel around, see if you can take public transport. For instance, take the boat from Bali to get to the Gili Islands instead of flying over to Lombok and taking the boat from there. Air travel is not really great for the environment, but many airlines are trying their best to reduce the impact. 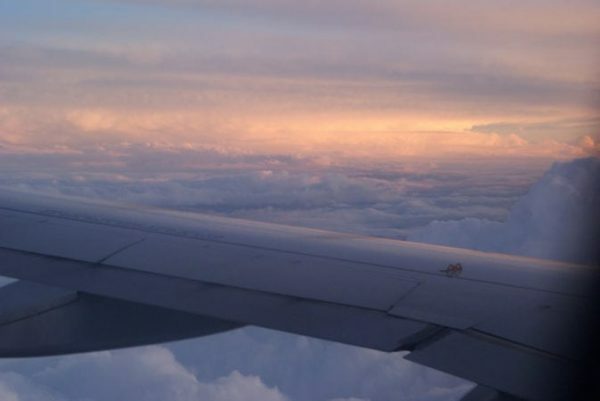 Before you book the flight, check if your airline has any eco-friendly program (e.g. Qantas). 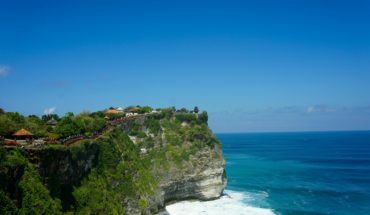 By booking your island accommodation through Villa-Bali.com, you are already giving something back to planet Earth. We love our planet and we love Indonesia and as a villa business, we also felt we had to do something to contribute to sustainable holidaying. Apart from selecting our villas carefully and promoting eco-friendly practices, we now teamed up with ReforestAction. For every villa we rent out, we plant one mangrove tree in the north of Sumatra to preserve the rainforest that is being cut down on a massive scale for the palm oil industry. How does a “Villa-Bali.com Forest” sound? Bali also happens to have some pretty amazing eco villas out there, beautifully built with local materials such as teak wood and other timbers, bamboo, rattan and natural stone. They are stunning villas that blend in seamlessly with the tropical surroundings of the island. 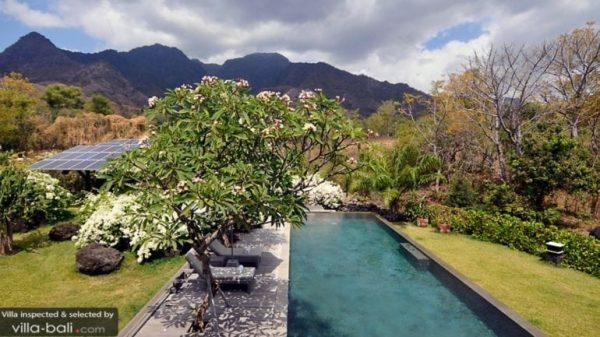 These inspiring eco-friendly villas that are often hidden away in the mountains, rice fields, and river valleys, prove how sustainability and luxury can go together like cake and egg. Eco villas are set out with solar panels, solar water heaters and smart water management systems such as rainwater harvesting. Some villas have their own organic gardens so you can be sure that the juices you drinks and the food you eat are locally grown and super healthy. Some awesome eco villas to check out are Mantra Nature Retreat, Villa Jeda, Villa Hansa and Villa RedDoor. Save power: turn off the AC and lights when you are out. Save water: don’t shower longer than necessary and why not try a cold shower for a change? It can be quite refreshing on a hot day and it is also a healthy practice. 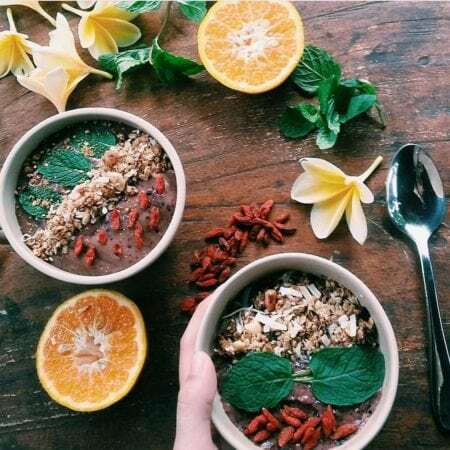 More and more organic, vegan, vegetarian and raw-food restaurants are popping out the ground in popular places in Bali like Ubud and Canggu. Going green is not only a healthy thing to do but it is also cool! Using fresh, locally grown fruits and vegetables, these eating places support the local communities and they are perfectly eco-conscious and sustainable. Check out Bali Budda, Alchemy, Sari Organik, Eat Clear, Zibiru, the Cashew Tree and Samadi, just to name a few. The vegetarian and vegan food industry uses a whole lot less water and land than the animal farming industries. Slowing down on your meat and dairy consumption is an essential step towards sustainability and environmental consciousness. Bali is a great place to dive into this world of healthy food and you’ll be pleased to find out that it’s pretty darn tasty, too! 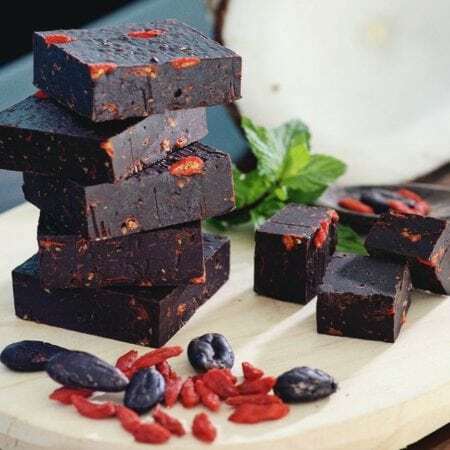 Don’t worry, you don’t have to miss out on your daily latte or cappuccino – try it with coconut, almond or cashew milk instead and have it with a slice of raw chocolate to go straight to guiltfree foodie heaven. It is sad but true, a big percentage of the ‘Balinese’ souvenirs are actually made in China. 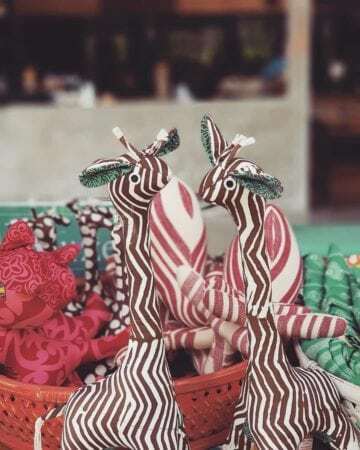 How to avoid buying these Balinese souvenirs made in China? Buy directly from local indigenous artisans. This way, you are supporting the local community and artists directly, you are really giving something back to the island and the Balinese people. This way can be sure it is natural, handmade and really worth your money. No, it won’t be dirt cheap but you will return home with true gifts of value. So, where to shop in Bali? For starters, go stroll around on the Samadi Organic Sunday Market in Canggu where you can meet local farmers and artisans. This market is all about organic, sustainability and uniqueness. You can score a nice healthy breakfast here, too, and the ambience is lovely with a mix of locals, expats, tourists and lots of kids. The market is held every Sunday from 9 am to 2 pm. Then, there are all of the eco-friendly shops to visit during your island stay. Shops such as Bambooku where you can buy clothes, towels and bedsheets made from world’s most sustainable crops in the world: bamboo. Bamboo needs no pesticides to grow, it needs only a little water and it grows fast. Bali has got more than plenty of bamboo and it makes such a great alternative to cotton! 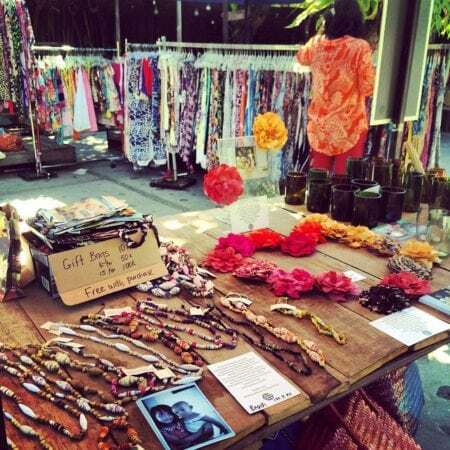 There are also lots of shops around with sustainable fashion and homeware. Check out Indigo Luna, La Boheme, Balizen, WE’AR, SOUQ and many more. Kou Bali and Kou Cuisine are cool little shops in Ubud to get handmade (palm oil free) soap and homemade jams. Indosole makes footwear from tire waste and Threads of Life supports local women who make beautiful handmade textiles. Like I said, you can just keep on shopping – completely guiltfree! 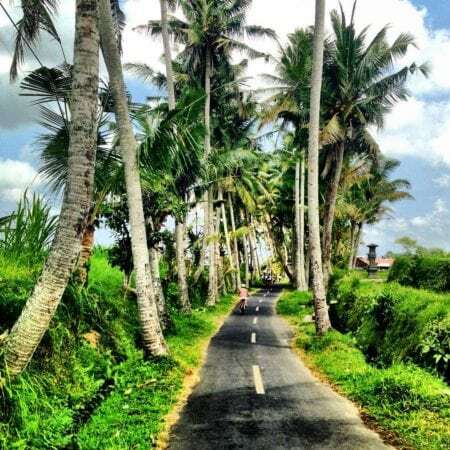 Bali Eco Tours offers amazing cycling tours through the unblemished countryside of Bali. Cycling is the best and most eco-friendly way to explore the landscape and villages of Bali. The trail is mostly down-hill, also suitable for families with kids. Paon Cooking School is a family-run business located in a little Balinese village just outside of Ubud. 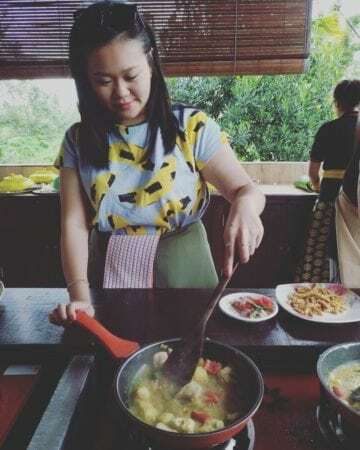 Sign up for a traditional Balinese cooking class and you will not only be giving something back to the community, but you will also be provided with hands-on tools to prepare authentic Balinese dishes. Ancient family recipes and traditional cooking methods are shared with you at Paon Cooking School and you will also meet the local farmers. 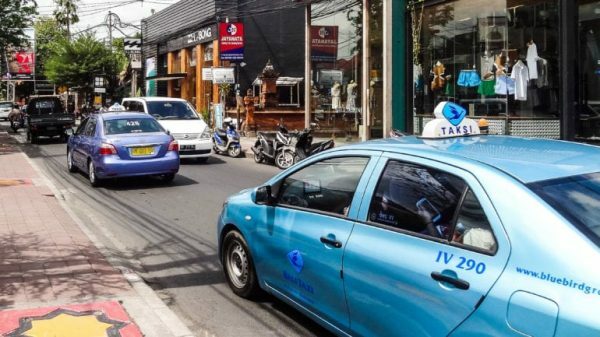 A pick-up from your private villa in Ubud is included. Once you are back home, you can cook up a delicious meal for your family and friends – now ain’t that the best island gift you could possibly bring? 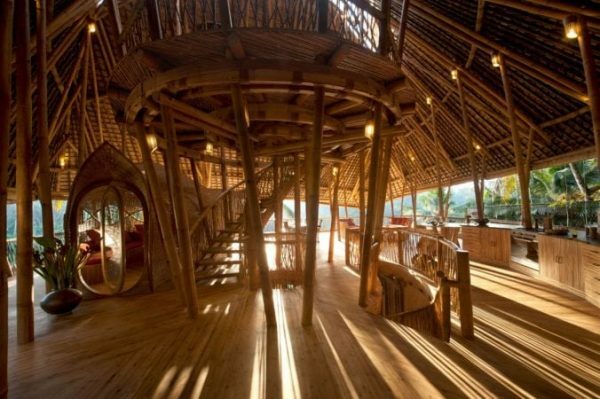 Just by looking at the photo above, you can tell that at Green Village Bali, they can do magical things with bamboo. Green Village has its own bamboo forest, bamboo factory and permaculture garden. Everything is a 100% sustainable – they even have a compost toilet. 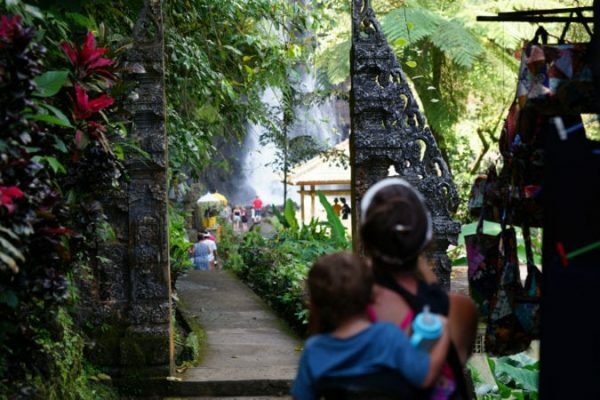 Green Village Bali is truly an interesting and inspiring place and it is a definite must-visit on your sustainable holiday to Bali. Read more Green Village Bali here. Nothing more amazing than watching the sunrise on top of a volcano, overlooking lands and oceans. 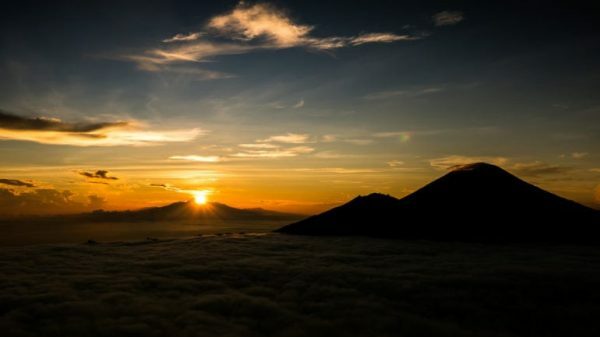 In Bali, you can climb up Mount Agung and Mount Batur, starting in the middle of the night and reaching the summit just before the sunrise strikes with all its colours and magic. Mount Agung is a much harder trek than Mount Batur and due to its activity in the last few months, you may not be allowed to climb it at this very moment. Mount Batur makes a perfect alternative with views to blow you away. It is outdoors, eco-friendly and unforgettable. 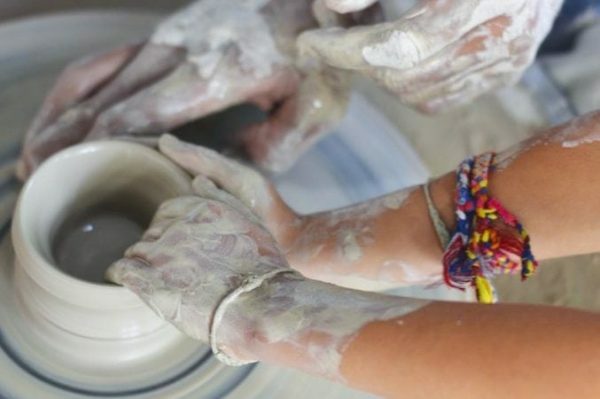 Want to master the skills of local artisans? 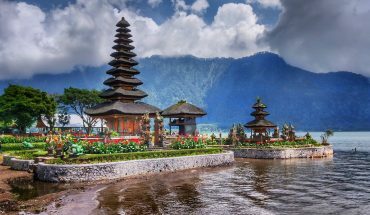 There are more than plenty of fun, educational and inspiring creative workshops to do in Bali. Take your pick between painting, pottery, silversmithing, Batik, ceramic, woodcarving, fruit carving, Balinese dance and many more. You can even learn to make your own organic spa products. Great to hear that you guys are doing positive things for Bali! It really is in need. 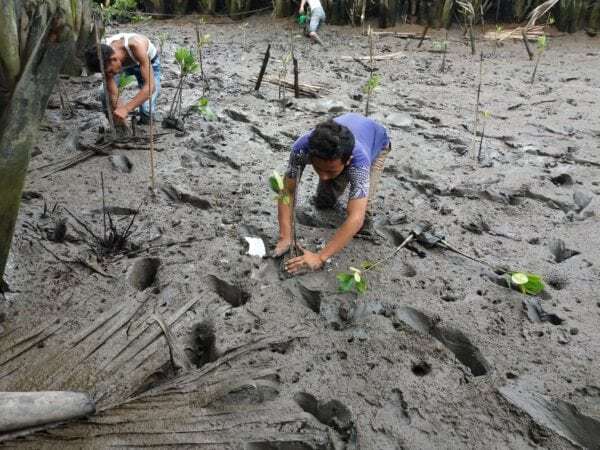 Love the mangrove tree planting. Have you done many? Really love the Green School too, was such an amazing place to see. Wish I could have gone there when I was a kid ! Thank you for your kind words! So far we’ve planted 3888 trees 😀 And Green School does sound amazing!